4.1 Do I Need a Certificate? Paralegal education will aid in your chance of being hired to be an assistant to an attorney. It will also help you to stand out from the other candidates applying for the same position. Getting certified also means that you will be making a higher income and will also have better benefits. There are other benefits to being a paralegal beside the obvious monetary gain. Having a paralegal certificate is not necessary for those who are interested in entering the paralegal field. However, there are some benefits to being a licensed paralegal. Below are the benefits to getting a certificate. Paralegal programs can give individuals just starting out knowledge and experience during the program that you will need on your first job. If you have not had an opportunity in the legal profession in any capacity, earning a certificate is the best way to gain critical knowledge so you won’t walk into a law firm job completely inexperienced. Obtaining a certificate can give you expertise in particular areas of the law. Many law firms specialize in areas of the law such as bankruptcy, transactional law, or personal injury. By choosing a paralegal program that offers training in the field of law that you’re working in or will be working in, you can make yourself more valuable to your employer or future employers. Having a certificate gives you an advantage in getting employment over others without certification. If an employer has a choice between hiring a paralegal without certification and one with certification, all other things being equal, the employer will choose the one with a certificate. The certification process gives you an idea of what area of law you would like to focus on. Before you study an area of law, anything may seem fun and exciting. But going through the certification program can give you a better understanding of what area of law fits you. Your decision to getting certified as a paralegal demonstrates a commitment to demonstrate a high moral standard. Most certifications require paralegals to commit to a code of ethics. This code will guide you in making wise ethical decisions when faced with tough decisions and will let employers know that it is important to you to work ethically. Becoming a licensed paralegal can help you get a raise if you’re already working as a paralegal. Increasing your knowledge base in your chosen profession will give you justification for requesting a pay raise. Having a certificate helps you build confidence in your knowledge and skills. If there is knowledge that you lack in any area will cause you to second guess your decisions and ultimately make wrong decisions. Once you have received training in paralegal studies, you will feel comfortable that you can do your job effectively and efficiently. Some certification programs offer job placement services. These placement services get you a foot in the door when it comes time to be interviewed and get a job. Many legal assistant programs set you up in internships in law firms that provides you with on the job training. These internships can lead to a permanent job placement, but even if your internship doesn’t it will certainly help you get a job somewhere else. If you do an excellent job, your supervisor will be able to give you a recommendation that will be far better than a recommendation from someone in an unrelated career field. Securing a certificate can help you make a career transition or a transition to working in another area of law. It’s often difficult to leave a career field especially if you’ve worked in that field for many years. Getting a paralegal certificate will show people that you are serious about making a change. The certification can also make it easier to move from being a paralegal from one area of law to another. You will have a personal introduction of the constitution while and after completing your education. Introduction will teach you more about your rights and the things that you can and cannot do. This fundamental knowledge is a significant advantage if you are living in a country that sees the law as being justification. This new skill will also give you the chance to help your community as well. Despite the obvious that they will need an attorney for any legal problems, you will be able to give them an idea of how their lawyer will be able to help. 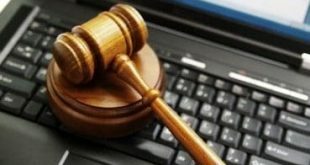 If they will be seeking the assistance of a lawyer that bills by the hour, then you can help them avoid having to make multiple inquiries that can help them to save money. You essentially will help them save money just by providing them with legal advice that is sure to be much appreciated. While a paralegal education can give you a better future, I will also help you if you choose to become an attorney someday. After you have achieved your paralegal degree or certification, you can move on to completing a law degree and becoming an attorney. Your education on the law will serve you well when studying to become an attorney. Some students can complete law school without having studied as a paralegal first. Having completed the law assistance certification, you will have a better idea of what it would be like to be a lawyer. Your certification counts as it will give law offices and organizations an idea of how proficient you will be, and it will also show that you have obtained a professional achievement. Both introverts and extroverts will be able to hold a job as a paralegal. Introverts will like the research and the organization of files that goes along with being a paralegal. Extroverts will enjoy building relationships with lawyers and other paralegals. The tasks that are to be completed by paralegals are repetitive so it is easy to say that it becomes a routine, and you can know what to expect work wise from day to day. Of course, there will be exceptions to this as unpredictable things come up during the course of the work day. Some paralegals will work long hours and will experience the pressure to complete deadlines. For someone that enjoys working at a fast pace, this will be ideal. Also, during the court preceding’s, the attorney’s will need other material and case references that the assistant will have to look up. Overtime can cause late hours and even overnight hours depending on how critical of a case. Just keep in mind that many times paralegals will not get to participate actively in the courtroom. There are many rewarding benefits that go hand in hand with becoming a paralegal. These benefits are true whether you are seeking this as a career or if it is merely a stepping stone to becoming a lawyer. Choosing a top program will give you the tools you will need in order to complete the tasks. It will also help you to stand out in the crowd and to land the job that you so rightly deserve. One important piece of advice would be to research the program or programs at some of the schools mentioned. Researching will help you to find a program that will be the best fit for you whether you need weekend or weeknight hours online in order to fit your busy schedule. If you are going to move to a different state, you can search job boards in order to get an idea of salaries. Many job postings do not include this information. Searching for jobs will help you decide whether this will be the right career path for you. If you have the skills that it takes and the dedication to follow through with the program, then you will be well on your way to becoming a paralegal for a top law firm. You will be able to help your supervising attorney as well as the clients that you will encounter. Are you starting to study for the paralegal certificate exam and need to know which study guide will be best for you? We will give an overview of what study guides are available for anyone who is taking their paralegal exam through testing. CLA/CP Study Guide and Mock Examination is a self-study guide designed to help you improve your test-taking skills. This guide contains three parts: Part 1 gives an overview of test-taking facts such as information on grading, testing centers, and fees. Part 2 provides a weekly study plan which guides you through which topics should be studied during which week and can keep you focused during your studies. Part 3 is a mock exam itself and the answer key. 2. Human Relations and Interviewing. 4. Judgment and Analytical Ability. 7. American Legal System and General Law. This edition is the 2014 study guide by Virginia Newman. PACE Study Manual gives an overview of the five topics covered on the PACE Exam. 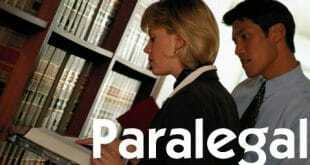 A certificate is not required to become a paralegal. However, paralegals invest to bolster their resumes by establishing that they have particular skills and knowledge and that they are committed to the legal field and their long-term success as a paralegal. The National Association of Legal Assistants (NALA) offers a certification that allows paralegals to receive the designation of Certified Paralegal. To become a Certified Paralegal, you must score 70% on a five-part test administered by an approved NALA testing site. The five parts consist of communications, ethics, legal research, judgment and analytical ability, and substantive law. Plus at least twenty (20) hours of continuing legal education credit completed within a two (2) year period prior to the examination date. NALA also offers an advanced certification. This certification is offered to those who already have the designation of certified paralegal. The certification is a 20-hour course. The materials for the course are all found on-line. National Federation of Paralegal Associations (NFPA) offers a certificate through a test referred to as PACE (Paralegal Advanced Competency Examination). Four years of substantive prior paralegal experience. The PACE is a two-tier exam. Each tier focuses on different areas. Tier I addresses general legal issues and ethics. Tier II addresses specialty sections. Once qualify to test, the applicant must pass one-day four-part exam, which consists of written communications; legal knowledge and skills; ethics and judgment skills; and substantive law. The American Alliance of Paralegals does not require applicants to take any test. Instead, AAPI looks at the applicant’s level of experience to qualify her for certification. A certificate from ABA approved paralegal programs or a program that is a voting institutional member of the American Association for Paralegal Education. American Alliance Certified Paralegal (AACP) has to renew their certification status every three years and complete eighteen hours of continuing legal education, with three of the eighteen hours being in ethics. Individuals seeking paralegal license have quite a few options. The organizations listed above should give you a good place to start your research into where you can get your paralegal training. The paralegal profession is a growing industry. According to the analysts at the Bureau of Labor Statistics, you will find that the expected growth of paralegal jobs will grow 17% from now through 2018. That’s above average for any profession. Taking above information into consideration, you will find that this field is growing in competitiveness as well. The need for proper (and more) paralegal training will be a determining factor in getting the job you want. The best advice anybody can give you in regards to certification, training and even experience, is to tell you to receive as much as you can. Paralegal diploma is not necessary for every organization, but it proves you have the know-how and the credibility to do the job correctly. Not only will your future employers look at you with more respect and comfort, but they will also give you greater responsibilities in the position they place you. A diploma leads to even greater responsibilities and even a high paralegal salary in most cases. Below you will find a couple of the most respected associations and organizations. A paralegal training from one of the below associations will boost you forward in your future career as a paralegal. To gain the Certified Legal Assistant (CLA) or the Certified Paralegal (CP) status through NALA will show employers that you are qualified and ready to take on any responsibility that they throw at you. NALA provides these two paths to take, although the terms themselves are synonymous with each other. To receive paralegal license through NALA, you will need to pass their certification exam and become a member of this association. Four years of paralegal experience on or before December 31st, 2000; and the paralegal cannot have been convicted of a felony nor be under suspension, termination or revocation of a certificate, registration or license by any entity. Legal Training Course – These courses are offered through local chapters and state organizations through a partnership with Stetson University. Not only can these courses give you credits and prepare you for a career in the paralegal profession, but they will also give you the knowledge that you need to pass the certification exam. Online Learning Center – This is an online chat room that meets occasionally to discuss topics that are pertinent to the field. If you’re interested, sign up with NALS and become a member to participate. NALS WebEd – These are separate webinars that cost $35 for members and $50 for non-members. An expert in this profession presents each webinar and gives you a great on-the-job know-how to help you pass your exam. A Bachelor degree in any discipline from an accredited institution. An Associate’s degree in paralegal studies from an ABA-approved program. A certificate from an ABA-approved paralegal program. Joining one of these associations will not determine your success in this professional field. Receiving a certificate will give you one more credential to prove you have what it takes to make a law firm or government agency thankful for hiring you.